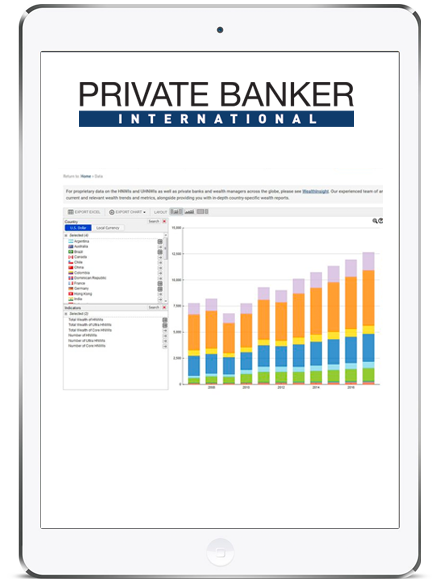 Private Banker International (PBI) is an editorially independent briefing service aimed at banks, financial services companies, related intermediaries, and technology vendors in the private banking and wealth management sector. PBI delivers timely news and insight to C-level executives and financial services professionals by providing valuable and credible information on global private banking strategies, products and services, regulation and compliance, M&A activity and deals, technology, security, people moves, competitor developments and the future landscape. 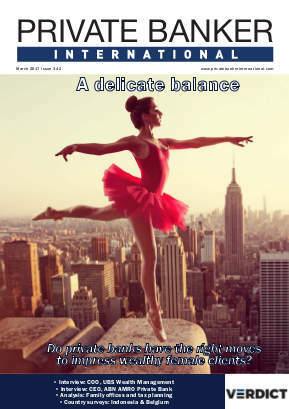 The recently re-launched website, daily email news service and monthly print and PDF editions provide subscribers with a comprehensive overview of the global private banking industry, alongside granular data, through proprietary analysis and trend pieces, exclusive interviews, expert comments, bespoke research, country surveys, and international conference reports. Head of Coutts International and Private Office, Coutts & Co.
Stowell joined Coutts Private Office in 2007 with a mandate to manage a portfolio of Ultra High Net Worth clients. She has built an impressive 20 years’ plus experience in the wealth management industry, previously in client management roles at Lloyds Private Banking, Drummonds, and Schroders Private Bank. In May 2015 she was appointed Managing Director of Coutts International and Coutts Private Office, continuing to work closely with a portfolio of clients, whilst overseeing the management of the businesses, alongside strategic and propositional developments as a member of the Private Banking Executive Committee. Stowell won Private Banker International “Outstanding Young Private Banker” 2012. She has a BA Hons Philosophy & Politics Durham University and the Securities Institute Diploma. Ian is a trusted business and technology advisor to domestic and international private banks and wealth managers. With over twenty five years’ experience, he helps executives and boards to keep ahead as the industry enters a period of unprecedented change. 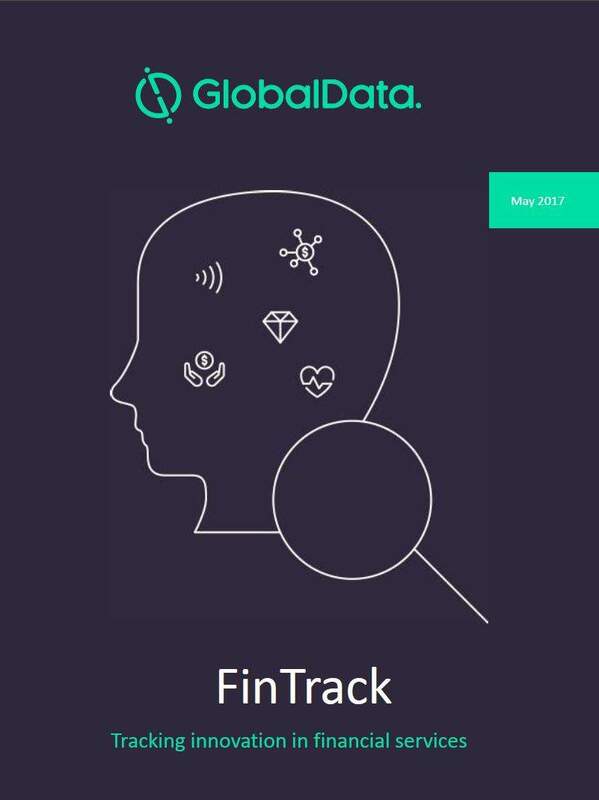 He also mentors and guides Orbium’s innovative fin tech, reg tech and software partnerships and, in particular, those involved with core banking innovation, investment management risk enhancement and data provision to meet cross border regulatory compliance. Ian is an influential and recognized thought leader, providing relevant insight through directing industry surveys, executive briefings, white papers and conferences. He serves on prominent international wealth management industry advisory boards and sits on the judging panels for leading European wealth awards. Prior to Orbium, Ian has held senior positions with IBM,EY and PwC. Santiago Ulloa has been working with wealthy families for more than two decades. As founder and one of WE’s three managing partners, Santiago is responsible for the firm’s overall international business strategy. In 2000, Ulloa founded the firm’s predecessor company, TBK Investments, Inc., to counsel and advise international high net worth families. In August of 2007, TBK joined forces with GenSpring Family Offices and he served as president of GenSpring Family Offices International. In January 2013, the firm once again became independent as WE Family Offices. Prior to founding TBK, Ulloa was with Banco Bilbao Vizcaya, where he led Private Banking for all of Latin America as well as product development and regional distribution for the Americas. He was an active member of the Council Board of Banco Provincial Overseas in Curazao (BBVA Group) and of the “BBVA American Fund Managers Limited” (BBVA’s asset management firm). Previously, he was a member of the Directive Council of Banco Exterior of Argentina, and he was also with Banco Banif de Gestion Privada (BSCH Group) in Spain as part of the international team. Dena Brumpton joined Barclays Wealth and Investment Management in September 2015. In her current role, Brumpton is responsible for helping power Barclays' growth strategy in the UK. Brumpton joined Barclays W&IM after spending 30 years at Citi where she initially joining the asset management division in 1985 to develop its Islamic finance proposition. 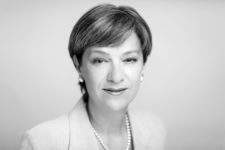 She then moved to Trading & Capital Markets in 1997 and worked on the globalisation of the Markets business following the integration of the Citicorp/Travelers merger. In 2003, she was appointed the CAO of Global Banking and in 2008 was asked to champion Citi's cross marketing strategies. Brumpton joined Citi Private Bank in 2009 and most recently served as its global chief operating officer. Shayne Nelson has an extensive banking career with experience in various roles. 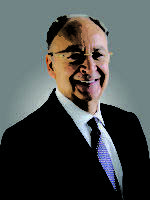 Prior to joining Emirates NBD, he served in Singapore as the Chief Executive Officer of Standard Chartered Private Bank and was also the Chairman of Standard Chartered Saadiq Islamic Advisory Board and a Board member of Standard Chartered Bank (China) Ltd. Nelson's previous positions in the banking arena include Regional CEO of Standard Chartered Bank Middle East and North Africa, Chairman of Standard Chartered (Pakistan), and Chairman of the Banking Advisory Council to the Board of the Dubai International Financial Centre. He was CEO and Managing Director of Standard Chartered Bank, Malaysia Berhad. Earlier in his career, Nelson served as Standard Chartered Chief Risk Officer for Wholesale Banking, Regional Head of Corporate and Institutional Banking Audit in the Asia Pacific Region and India, as well as Regional Head of Credit in Hong Kong, China and North East Asia. He was also the Head of Corporate and Institutional Banking for Westpac in Western Australia. He is a member of the Board of Directors for Emirates NBD Capital, Emirates Financial Services and a Founding Member of the Higher Colleges of Technology Industry Advisory Council. Caroline is the founder of Family Bhive, an interactive website for the ultra high net worth family and the industry which serves it. Launched in March 2008, the website is designed to bring transparency to the private client industry and provide a much needed forum for wealth owners. Formerly a partner in the Private Capital department of Lawrence Graham, Caroline was named "top five private client lawyers" in The Lawyer magazine's Hot 100 2011. She was awarded the Fellowship of the Chartered Institute of Tax for her thesis on 'Tax Planning for Non-UK Domiciliaries Investing in UK Commercial Property' and is recognised as being at the cutting edge of Family Governance. Dr Francis Koh is Professor of Finance Practice at the Singapore Management University and he is currently the Vice Provost (Special Projects) & Director, MSc in Wealth Management Programme. Koh started his career as a project analyst. From 1979 to 1994, he was part of the academic faculty at NUS. Between 1994 and 2002, he worked for the Government of Singapore Investment Corporation (GIC) where he was involved in private equity investments in the region and corporate training and development. He joined SMU in 2002 and has held various appointments, including Faculty Adviser on the Investment Committee and Deputy Dean, Lee Kong Chian School of Business. Koh has been active in consulting and executive development. Organisations he has consulted for include Citibank, Malayan Banking, OCBC Bank and Applied Research Corporation. He has also conducted training for organisations including the Bank of Singapore, GIC, IBM, Institute of Banking & Finance, Monetary Authority of Singapore, Singapore Institute of Management, Standard Chartered Bank and the Wealth Management Institute. He did his undergraduate degree at the National University of Singapore (NUS), obtained his MBA from the University of British Columbia, Canada, and his PhD (Finance) from the University of New South Wales, Australia. He has published in numerous academic journals. Managing Director, Chief Revenue Officer, Retail and Private Banking, MUFG Union Bank, N.A. Stuart D. Bernstein is a Managing Director and Chief Revenue Officer for Retail and Private Banking at Union Bank, N.A. In this role, Bernstein is responsible for the overall success, management, synergy and operating efficiency of all revenue-generated business lines within the Retail Bank for Branch Banking and Private Banking and oversees a full spectrum of sales activities. 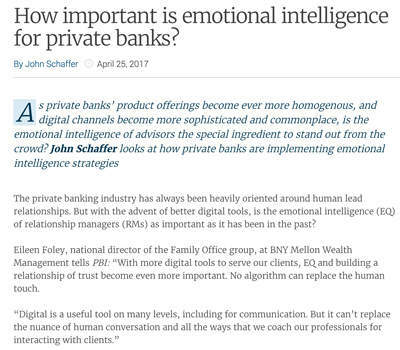 A key focus for Bernstein includes managing The Private Bank leadership team to ensure the bank’s valued affluent clients receive customised investment solutions tailored to their needs and that every client receives a premium customer experience. 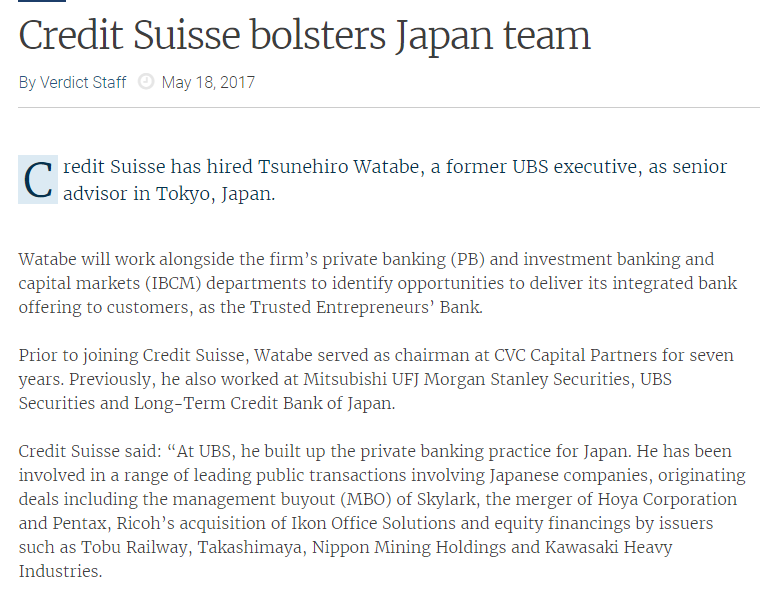 Bernstein also oversees ongoing Private Banking collaborations. Bernstein’s financial services experience spans more than 20 years. Previously, he was a national production manager for Union Bank, responsible for the retail and wholesale sales arms of Residential and Consumer Lending. He also served as a market president for the Orange County region. Before joining Union Bank in 2009, he served as an executive vice president and national specialized sales leader for Countrywide Financial Corporation, where he managed the bank’s investment program. Bernstein also held various positions, from banking center manager to senior vice president and market president, during a 13-year tenure at Wells Fargo. Caroline is a Director with Scorpio Partnership, an Aon group company, and has been with the firm since 2007. She is responsible for business development and the execution of assignments drawing on her detailed market experience in the private banking industry over 25 years. As a senior consultant her work has covered a diverse range of strategic wealth assignments across the globe, with a strong focus on using client insight to drive business results. Formerly a senior private banker with Credit Suisse in London, Caroline has comprehensive business management experience gained as Head of International Private Clients in the London office. Prior to this, she gained specialist expertise in the Middle East market as Head of Middle East private clients, having lived and worked in the region. Caroline started her career with the bank managing private client equity portfolios. Ray Soudah is the founding partner and chairman of MilleniumAssociates, the independent international M&A and Corporate Finance Advisory firm, based in Switzerland and the UK. Founded in 2000, the firm originally focused on the financial services industry, however in recent years it has built on this M&A expertise and experience and established an additional Entrepreneurs and Corporates Practice in order to extend its M&A services to the clients of private banks as well as corporates and entrepreneurial business owners globally. Ray has extensive multicultural wealth management and private banking/investment banking experience working in territories as diverse as the US, Asia, Middle East and Europe.